Jamie was mad enough she could spit and she would if it wasn’t so unladylike. She paced back and forth through her store while waiting for the independent contractor to show. Max Grey, she’d gotten his number from the Doc, who said he’d be able to hunt down anything, and he was trustworthy. She’d decide on the trust part when he got here. She glanced at the clock again, still to early for his arrival. She’d decided to stay closed today due to the break in last night, even though only one thing had been stolen and there weren’t any clues to who stole it. How the burglar got in she had no idea. She always kept a protection spell around her store, and it always worked, until last night. How the hell did the burglar know the pendant was kept in the safe behind the wall? The safe had a security code, along with an extra protection spell. She was the only person who knew where the safe was hidden, the security code, and how to disable the spell; at least she used to be. She thought for a minute, unconsciously rubbing the tattoo on the back of her neck. No, no way Sterling escaped his imprisonment, her tattoo would be warm to hot if he had. That meant someone else took it. She still couldn’t believe anyone else would know what the pendant was for or how to use it. The only people that carried that secret were her and her family, and her family passed away to a better place long ago. No one else had an inkling the pendant even existed. “Finally,” Jamie mumbled under her breath, moving to unlock and open the door for Max. The Doc described him perfectly, except his black hair was a little longer than she pictured it and pulled back; his eyes seemed more of a silver gray than the steel gray described to her. Jamie checked Max out as he walked through the door; she couldn’t help noticing he was extremely well built, and taken. She closed and locked the door behind him. Too bad, she thought. She wouldn’t have minded dating him, but he had this “I’ve got a woman” vibe surrounding him. She shook her head. What was she thinking, she didn’t have time for that nonsense, at least not as long as the pendant was missing. “Max.” She said, showing him through a back door off the shop into the kitchen. Jamie had bought her two story house hoping to fill it with a man and babies, but soon realized there were more important things to do with her life, so she had the huge living room converted into a Wiccan Store. She filled the store with herbs and potions, perfumes and Wicca jewelry, gypsy skirts and magical tunics, tarot cards and lace up sandals, candles, incense and books, along with crystals, and other items. Her shop did very well. But now her biological clock was ticking. The kitchen sat in the back of the shop and she lived upstairs. The house fit her perfect, and she’d still be able to have a family, if she ever found a guy. Max sat down at the kitchen table, watching her pour a cup of coffee for him. Jamie Raven stood at about 5’6,” curvaceous, with long jet black hair and jade green eyes. She moved with purpose and held a dark secret. That was all the information he could get from reading her. Normally he’d get a better idea of what a person was like at their first meeting, but not with her, she kept everything closed up tight inside her. “Thank you.” Max said as she set the coffee down in front of him and sat down across from him. “Yes, you can.” He replied, happy she broke the eye contact. He’d been felling a bit invaded from her stare. “Come with me.” Jamie said, standing up. Max followed her up the stairs, past a bathroom and an office, into her bedroom. They entered her walk in closet where she pushed her clothes aside, mumbled something under her breath, and then slid open a hidden door. She confidently wound her way through the walls of her house until they stepped into a low lighted room. Letting go of Max’s hand she moved to the safe that still stood wide open. “It was in here.” She said pointing. Max stepped closer to the safe, examining it without touching anything. The safe was superior, very few people would have the knowledge to break into it. “I’ll show you.” She turned her back to him, lifting her hair. On the base of her neck was a tattoo of the pendant. The sun portrayed a ruby circle with a pentagram in it, and the suns flames portrayed the diamonds, which were colored in white with a black outline surrounding them. “The sun is an actual ruby, the flames are real diamonds. 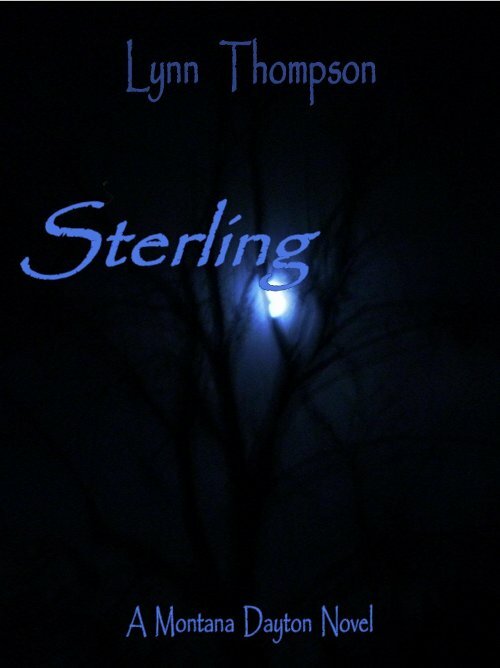 I’m the only one that can see the pentagram inside the ruby.” Besides Sterling, she thought. “No. I can’t imagine how anyone could have gotten past me and down here.” Jamie grumbled in frustration. “I’ll go get you one, but you’re not going to find anything.” She headed back upstairs. Max didn’t think he would find anything either but proceeded to go over the walls in the little room anyway, looking for any kind of secret passage or loose boards. He already knew no one could get in behind the safe. He also knew he wasn’t going to get anymore information from Jamie about the pendant. Maybe in time she would open up to him, but as of now he had to find it himself, and he had nothing to go on. Before Max left Jamie he checked her windows, doors, locks, and the area around her property. Most of her property was covered in grass with the exception to the flowers, vines, and rose bushes surrounding the walls of her house. There were no tracks to follow, and none of her flowers had been crushed. This was definitely going to be a challenge, he thought frowning. He turned around to look at Jamie. She’d been following him the whole time. “I knew you wouldn’t find anything. Absolutely no-one should be able to get on my property without me knowing about it. I can’t believe this happened!” She almost screamed. Max watched her expressions carefully. There was definitely something very important about this necklace, and he didn’t think it was just because it was a family heirloom. “I’ll give you a week.” Jamie said marching into her store and slamming the door. Max climbed into his truck, smiling as he drove towards the condo. The first thing he needed to do was a background check on Jamie Raven. He’d only found out about this job this morning and hadn’t had a chance to gather any information on her. His grin widened; now he had a damn good excuse to stay in town close to Montana. He shook his head, hopefully Montana wouldn’t take off and make him track her down again.